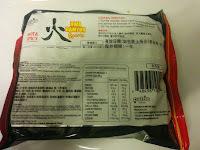 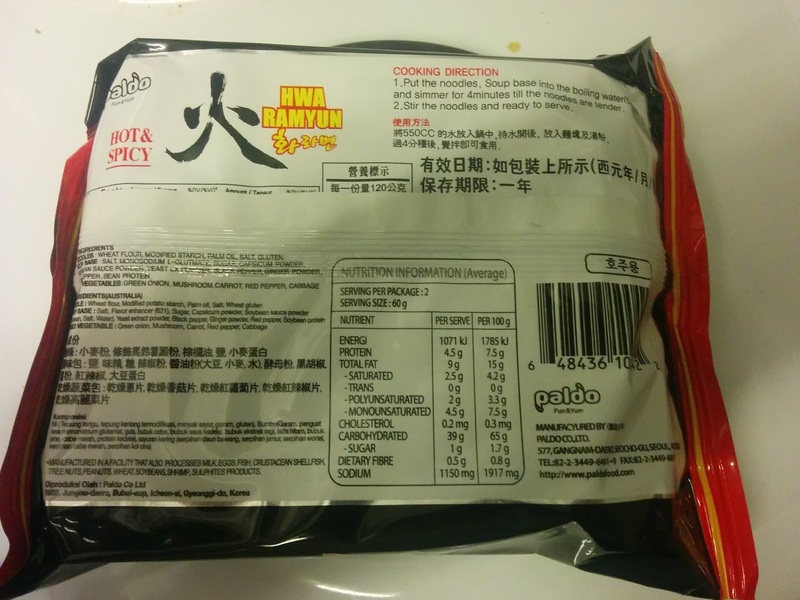 sachet of chilli powder and dried vegetables. 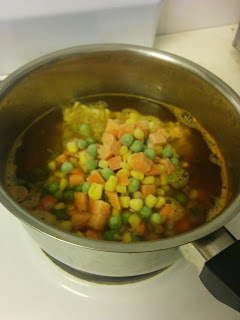 Add the frozen vege mix. last 5 or 6 pieces from my container. 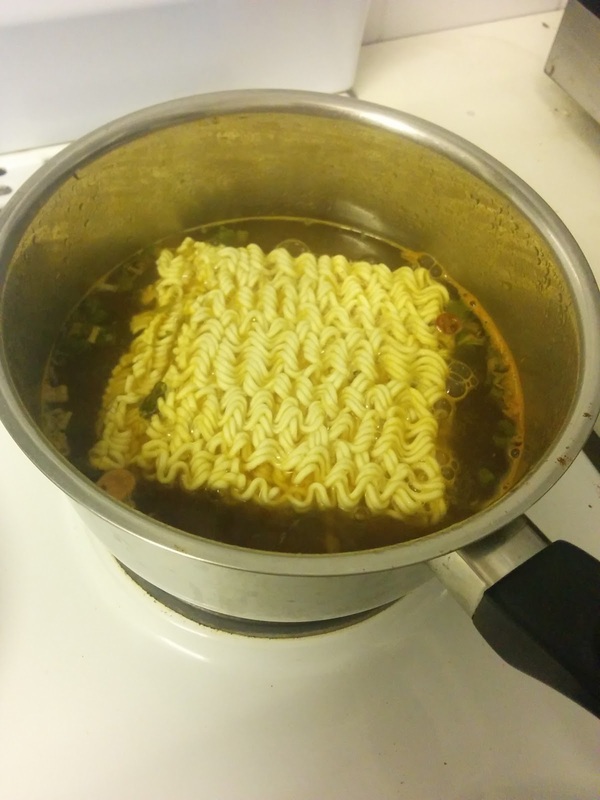 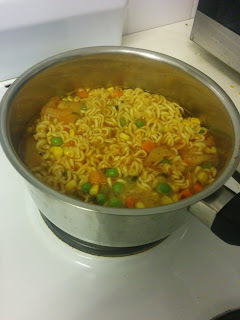 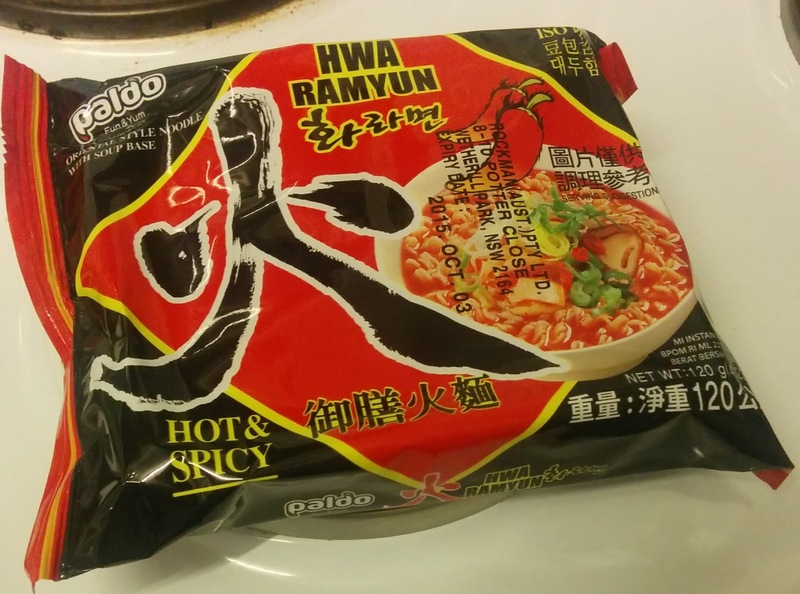 The ramyun was pretty spicy, I had to get a face washer a couple of times! 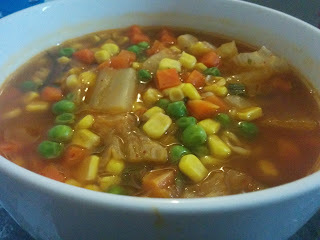 The frozen veges were just that, nothing to write home about - I buy them for the simplicity and fibre, not taste. The kimchi was getting old, and could have been good on it's own, lightly fried with some sesame seeds. 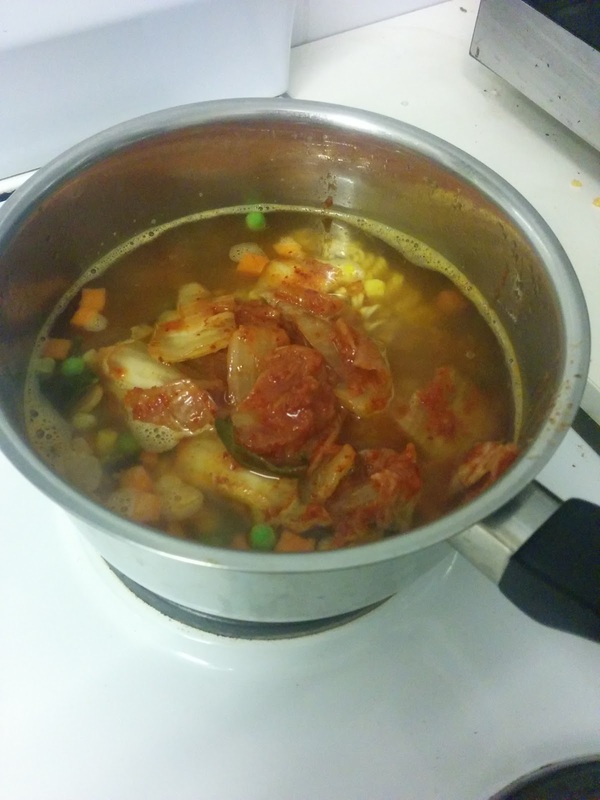 But, the whole mean was pretty cheap and only took a few minutes and reasonably healthy.